(CNN) - The Republican National Committee chairman was far from apologetic Monday morning when asked if he took back a recent comment calling Senate Majority Leader Harry Reid a "dirty liar." "You know there's no triple-down in blackjack but I'll triple down on my comments from yesterday," Reince Priebus said on Fox News. "It's the truth." The top Republican made the original remark Sunday morning in a discussion about Reid's accusations that Mitt Romney went 10 years without paying taxes. The Democratic leader made the allegations based off what his office calls an "extremely credible source" affiliated with Romney's private equity firm, Bain Capital. Reid first made the comments in an interview with Huffington Post on Tuesday, then later voiced his opinions on the Senate floor, urging Romney to release more tax documents to answer any lingering questions. Romney pushed back twice last week, telling Reid to either "put up or shut up" and calling the reports false. Republicans, including Priebus, backed up the presumptive GOP nominee Sunday morning on news shows. "I'm not going to respond to a dirty liar who hasn't filed a single page of tax returns himself (and) complains about people with money but lives in the Ritz-Carlton here down the street," Priebus said the ABC News program "This Week." "And the fact that we're going to spend any time talking about it is ridiculous." Sen. Lindsey Graham of South Carolina also came out against Reid's statements, saying the majority leader was "making things up." "What he did on the floor of the Senate is so out of bounds. I think he's lying about his statement, of knowing something about Romney," Graham said Sunday on CNN's "State of the Union." 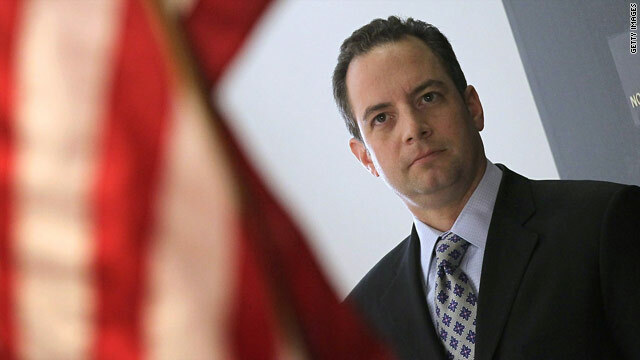 While Priebus' "dirty liar" jab took some heat on Twitter Sunday, the RNC chair did not back down when questioned about it Monday and further reiterated his attack, saying Reid had "denigrated" his position as Senate majority leader. "What else do you call somebody who goes on to the Senate floor and claims that someone hasn't paid any taxes in ten years - a complete lie - and uses his official office to do it?" Priebus said. He once again repeated the line: "He's a dirty liar, and we're moving on to defeating this president and saving this country." Responding to Republican statements on Sunday, Reid's spokesman Adam Jentleson said in a statement it was "sad" Romney "has forced his party to defend his decision to hide the truth about his tax returns." "As Senator Reid has said, an extremely credible source informed him that Mitt Romney did not pay taxes for ten years," Jentleson said. "It's clear Mitt Romney is hiding something, and the only way for him to clear this up is to be straight with the American people and release his tax returns." If Senator Reid is the "dirty liar" you say he is........then put the returns out there and prove it. In my view, there must be some truth to the accusation.......otherwise, why hold back the information that proves your point? Romney is hiding plenty in tax returns, and you know it. Who would pay any attention to some one whose nane is Reince but is as effective as if his name was Princess.The GOP must have picked this guy because they are pretty sure they can not beat Obama.I am sure Harry REID is shaking in his boots.Why not challenge that old man to some fisticuffs he will give you lessons.Now REINCE you might do better id it were a duel with swords/words. The old adage about people who throw mud become cover in mud is a good way to describe Harry Reid. He's Obama's mudslinger. While the mud does show on Obama, Reid looks like a "HOG" after a good wallow in the political mud pit. Wait this from the party who smeared the POTUS on his birth certificate and continues to not stand up to those who still refuse to accept his released birth certificate. A Birth Certificate that has been certified not only by the state of Hawaii, but also by a REPUBLICAN governor of Hawaii. Some thing no other candidate in the history has had to do. I'm sorry but if you can't take your own dirty tricks play book being thrown back at you then you need to sit down and shut up.